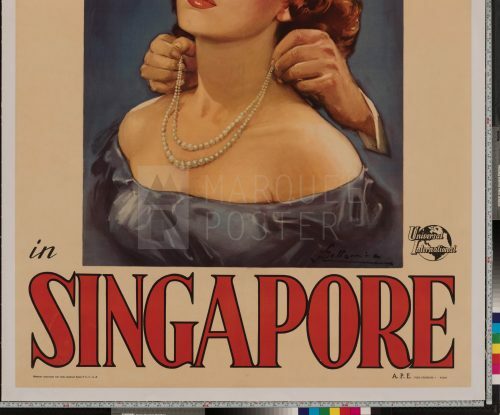 Film Plot: After WW2, an American skipper returns to Singapore to recuperate his hidden stash of pearls and to search for his sweetheart who disappeared during a Japanese attack in 1942. Grade: C7-C8	Fine to Very Fine. Folded, single-sided. Prior to linen-backing this was a theater used poster minor fold/edge/handling wear, pin holes in the corners, and a tear in the top left horizontal fold and a tear in the vertical fold just below Gardner's image, now appears very fine to near mint. 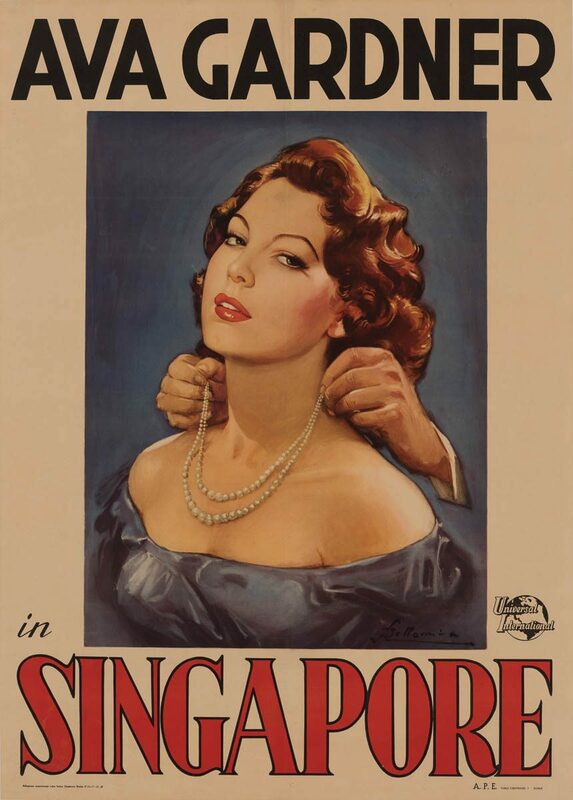 This film noir set just after the war is about a pearl smuggler in East-Asia who is trying to find his wife — who was believed killed during the Japanese attack on Singapore. Intrigue and double crosses of course ensue, but the real standout of this film is this Italian poster by Bellomia. 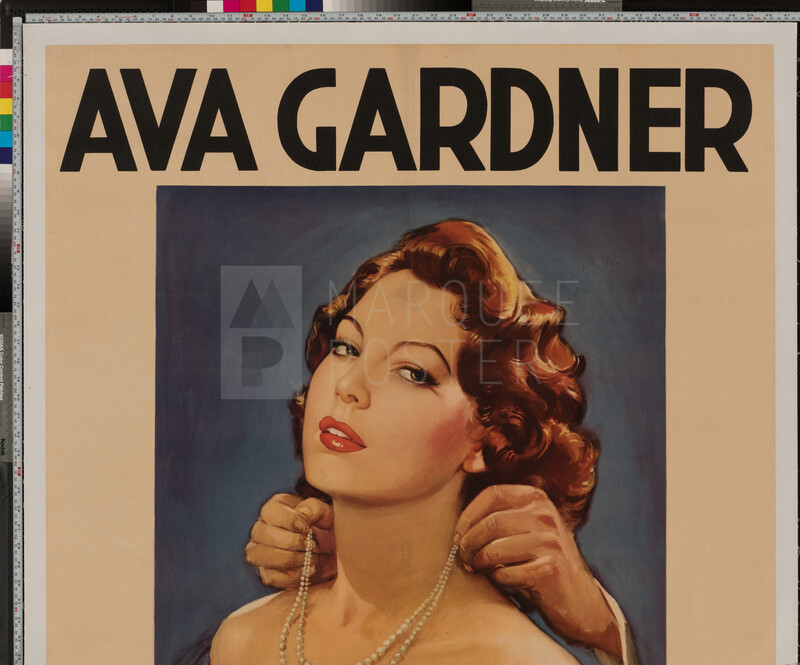 It features one of the best portraits of Ava Gardner ever put to paper!